Coffee filters are probably one of my favorite inventions ever. There’s nothing like a good, strong cup of java to get my energy up and my brain whirring. However, what I’ve been recently realizing is that coffee filters have a ton more uses than just keeping the grounds out of my coffee. In fact, these little white circles could even be used in a ton of different ways for survival. Pour white vinegar onto a coffee filter, as well as some drops of a great smelling essential oil. Add these dryer sheets to your next load of laundry to keep your clothes smelling fantastic. 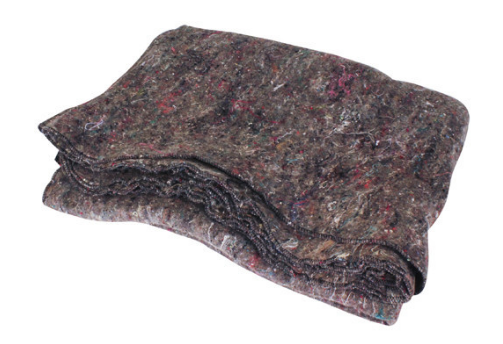 Also, while waiting for your wet clothes to dry, you can curl up in this incredibly warm Disaster-Relief Wool Blanket. 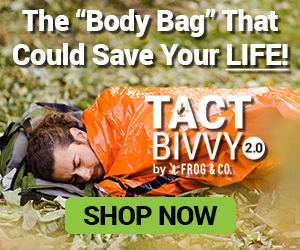 Perfect for camping and bugging out! Add your favorite spices and seasonings into a coffee filter (fresh is best), and tie a string around the top to keep it closed. You can now dunk these DIY flavoring packets into soups for a little added flavor. Or, if you want easy to prepare, delicious soup that already packs a TON of flavor, we’ve got a couple of excellent options. 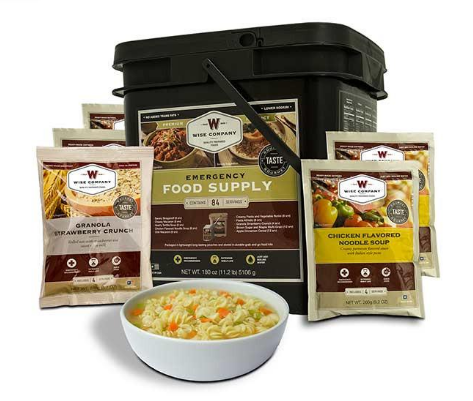 For the prepper on a budget: 8 servings each of hearty tortilla soup and chicken noodle soup (plus many more grab-and-go entrees!) in picture #1 below. 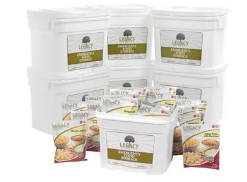 For the prepper that’s looking to get all their survival food in one fell swoop: 16-32 servings each of: Spicy Corn Chowder, Loaded Baked Potato Soup, Classic Chili, and ridiculously good Creamy Vegetable and Rice Soup (plus TONS more meal options!) in picture #2 below. If you’re a no-pulp orange juice drinker, this may just be your saving grace. Place the coffee filter into a cup and squeeze the orange (or lime, or whatever fruit you want) into the coffee filter. This will give you fresh-squeezed juice, without the added pulp and seeds. If you’ve cut yourself and you need to stop the bleeding fast, you can always tear off a piece of a coffee filter and press it onto the wound. Coffee filters are incredibly light, cheap and space-saving, which makes them a perfect alternative to plastic bowls. 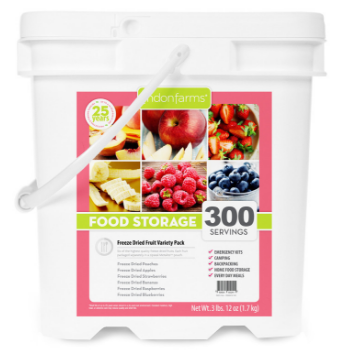 Store your solid food snacks in these for a tasty on-the-go treat. We’ve all seen the commercial where you watch a bird smack into the window because it was so clean and shiny. Now you can have the same streak-free experience by using your favorite glass cleaner and a coffee filter. 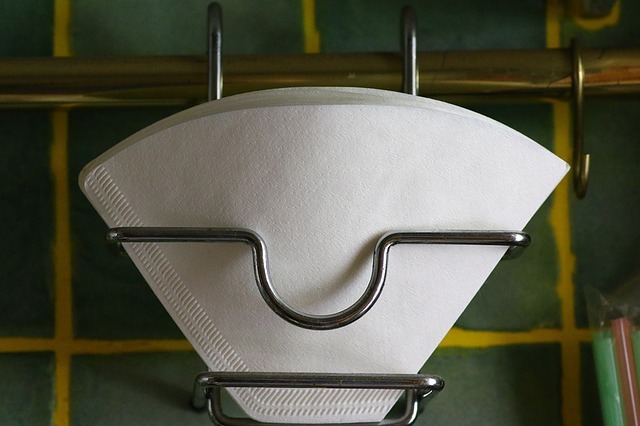 Coffee filters are lint-free, so you get the shine without the lint residue on the glass. If you’ve got cast iron cookware you know how disappointing it is to find rust lurking on them. Stop this from happening in the future by placing some coffee filters on them after you’ve washed them. The filters will soak up all the water/moisture and help them avoid rust accumulation. There’s nothing more annoying than swatting away flies while you’re trying to enjoy your burger. Make eating less frustrating by covering the food you’re not eating with a coffee filter – bugs now won’t be able to touch your food. You can also learn how to keep spiders away here. Few things are more frustrating than losing a screw in the middle of a big project. By organizing types of screws, nails, etc. into separate coffee filters, it’ll help them stay together. 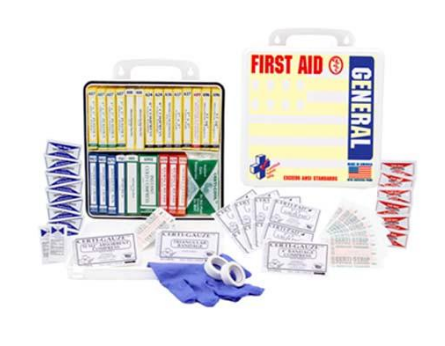 Plus, you can tie these off and stick them in your bug out bag for easy storing. 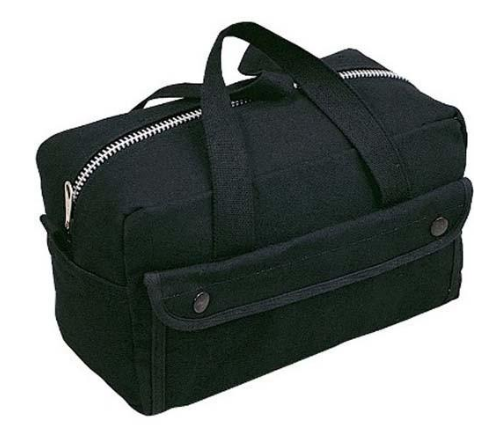 Or, if you’ve got a ton of loose tools and hardware and coffee filters just won’t cut it, you can always store them in this super strong heavy duty tool bag instead. 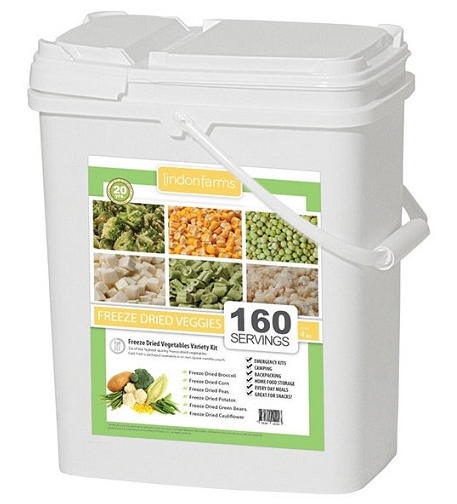 Or, if you want to stop eating bad-for-you greasy foods (at least for part of the day), you could always opt for these healthy and ridiculously delicious freeze-dried tropical fruits and vegetables. Add your favorite vegetable/herb seeds to coffee filters and add water to help them sprout before planting them in a permanent home. 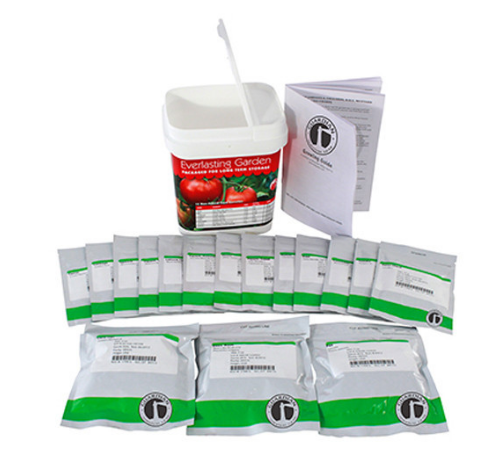 If you haven’t gotten seeds yet, we’ve got the perfect ones! 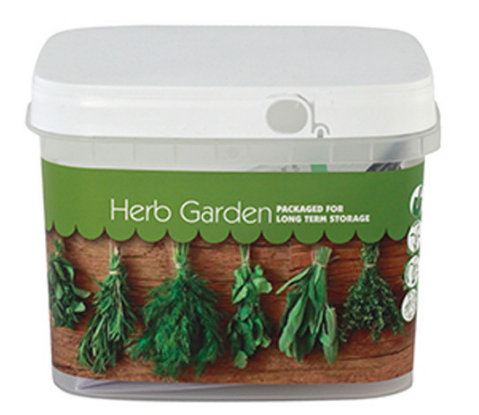 Click on the images below to see our Everlasting Garden Vegetable Seeds and our Herb Garden Preparedness Seed Pack. Keep seeds away from moisture by storing them in coffee filters in between seasons. Soak the coffee filters in cold water and freeze. Then apply to your forehead for a cooling compress that’ll help relieve your headache. Didn’t get much sleep last night? Soak coffee filters in brewed tea, and then chill. Apply to your closed eyes to take away the puffiness. Place a coffee filter in a cup, and then pour water inside that is full of large pieces of twigs and debris. The filter will keep the large bits contained and removed from your water. However, this doesn’t remove bacteria, so be sure to boil the filtered water before drinking. Or if you don’t want to deal with boiling water before drinking (who does?!) 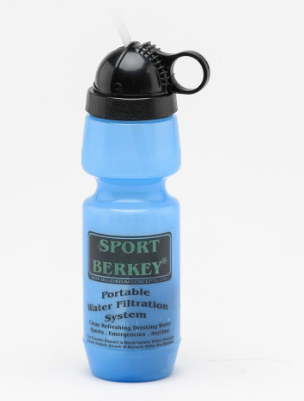 you could always just use this awesome water bottle that will purify it for you. Dirty glasses are a huge pain, especially if you can’t switch into contacts. Simply dip a coffee filter into some cold water and rub on your glasses – they’ll wipe away clean and lint-free. You can also do this with your cell phone, tablet, etc. If your dog leaves a mess on the hiking trail, stick your hand into a coffee filter to remove it. Coffee filters are an alternative if you run out of toilet paper. However, these don’t flush well, so make sure to throw them in a trash can after using. Let’s be honest – I’d much rather use real toilet paper than a coffee filter (way more comfortable). 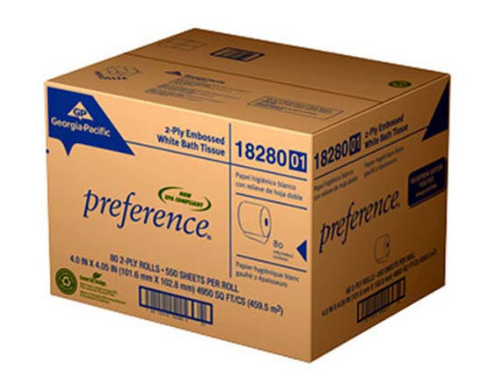 Especially toilet paper that’s biodegradable like these ones. Stock up on our toilet paper here so you won’t have to use coffee filters. When you’re bugging out, your clothes can get smelly real quick. Make it bearable by pouring baking soda into a coffee filter and tying off the top – you’ve now got something that’ll absorb the odor. 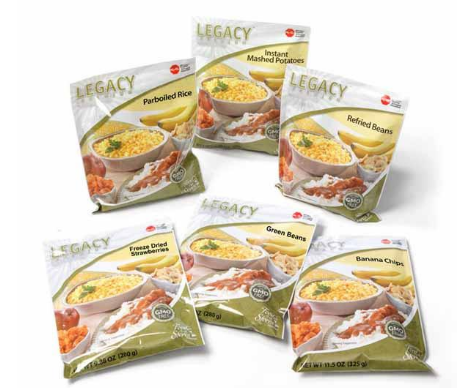 Store these in your bug out bag, tent, shoes, car – anywhere that gives off a bad stench. Filling up a flower pot for the first time can get messy. Cover the hole at the bottom with a coffee filter before dumping the soil in. 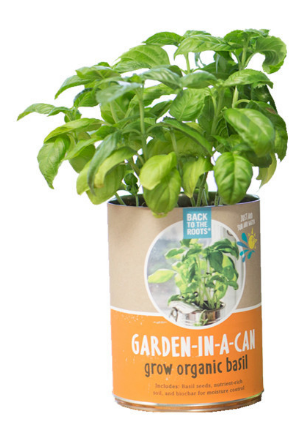 This’ll prevent the soil from spilling out, but will still allow water to drain and keep your plants from getting overly hydrated. Cut off the tip of a coffee filter and you’ve got an instant funnel. This is especially helpful when attempting to move fine-grained material into small containers. Rather than washing the whole shirt when you get a stain on it, spot-clean it with a coffee filter instead. Add club soda, vinegar or peroxide to the filter and then dab at the spot until it’s gone. Wrap your favorite vegetables and fruits in coffee filters and then store them in the fridge. The filter will soak up any moisture on the produce, keeping it fresh for longer. If you’re in a crisis, you won’t want to throw anything away. Boil your half-eaten meat and vegetables and pour the contents into a coffee filter. The filter will catch the food scraps, and the remaining liquid can now be used as a stock for future soups/meals. Soak up grease with a coffee filter – you’ve now got an excellent fire starter. 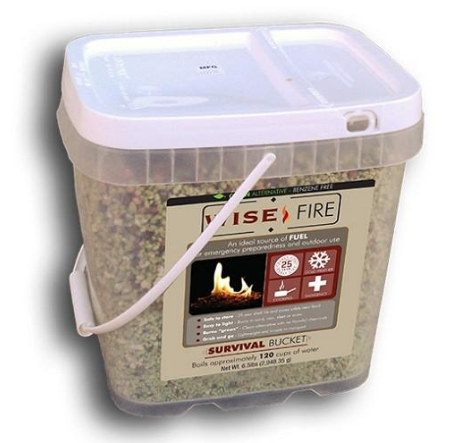 However, if you’re worried about running out of fire starters (or them not working in a pinch), I’ve got a convenient 2 gallon emergency fire starter bucket that’ll take away all those fears. Now you might notice I didn’t list what’s probably the most obvious use on the planet for these little guys – making coffee. That’s because I wanted to explain the best method I’ve found for making coffee in camping and survival situations. 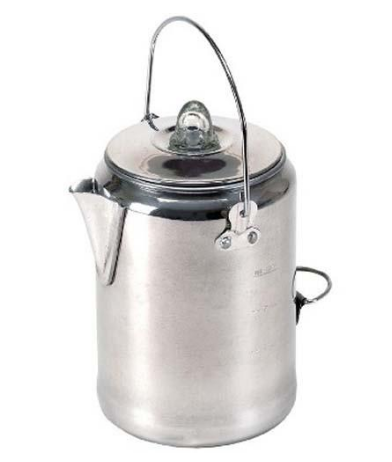 When I wake up and SHTF, you can bet I’ll be reaching for this aluminum 9-cup percolator to get me going. 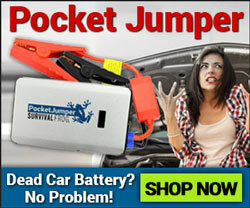 #1 – It’s absolutely perfect for camping and crises alike, since it doesn’t need an electrical outlet to work. You can set it over a fire or over your grill to get the water boiling just fine. #2 – This percolator makes 9 cups of coffee, which means I can share with my group and only have to brew once (or if a crisis hits, I might have to drink all 9 cups to keep my energy up). #3 – All the parts fit nicely inside the percolator, so I can grab it and go and not have to worry if I left a part behind. There you have it – I’m sure you’ll agree that, when it comes to camping and survival, there’s no better way to wake up than with a fresh-brewed cup of joe from our aluminum percolator. Click here or on the picture below to start brewing with yours today. 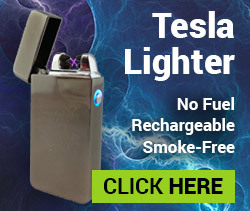 This entry was posted in Bushcraft, Camping, Emergency Preparedness, Emergency Survival, Family Survival, Homesteading Tips, Hot Weather Survival, Outdoor Survival, Prepping, SHTF, Survival Basics, Survival Cooking, Survival Hacks, Videos, Wilderness Survival and tagged bug out bag, bug out bag essentials, DIY, DIY Survival, diy survival tools, food, food storage, prepper hacks, survival, what to put in a bug out bag on June 13, 2016 by Survival Frog.